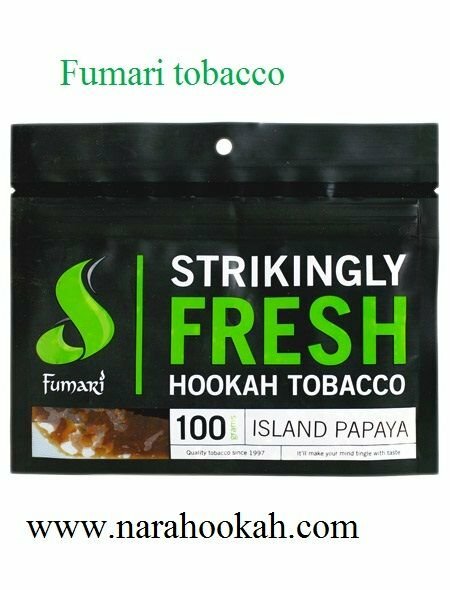 Fumari tobacco makes some of the best tasting and most unique flavors of hookah tobacco and it is one of the most popular premium shisha brands in the USA. This tobacco brand launched in 1996 in San Diego, California. Fumari’s shisha is also well known for its incredible and smooth cloud with wonderful flavors. From Blueberry Muffin to White Gummi Bear, Fumari's familiar flavors are sure to give you a better test. We at Nara Hookah sell unique fumari tobacco flavors for increased good taste. We are the best hookah store for all your hookah and shisha needs, carrying a wide selection of top quality hookah products in all shapes and sizes from leading hookah and shisha brands at the best available prices. You can buy online or at our store in Paterson, NJ. White Gummi Bear: It is one of the most popular flavor from fumari. The aroma and flavor of this hookah tobacco evoke a sweet pineapple and citrus mix that perfectly recreates the awesome white gummi bear flavor. This is a flavor that every hookah lover should try at least once. Red Gummi Bear: Red Gummi Bear Fumari Shisha tobacco will appeal to fans of he little bear. Sweet and fruity, Fumari captures all the candy essence of this elusive creature in this delicious new hookah tobacco. It's the latest and greatest member of the Gummi Bear family! Blueberry Muffin: Blueberry Muffin Fumari Shisha Tobacco is a delicious and unique shisha flavor which almost perfectly emulates a sweet blueberry muffin. It tastes like your favorite breakfast pastry – buttery and bursting with blueberry flavor! White Peach: Fumari White Peach shisha tobacco stays in line with Fumari's tradition of delicious natural fruit flavors. Fumari White Peach is a long-time customer favorite, and one we use on the regular. Ambrosia: Ambrosia Fumari Shisha Tobacco perfectly captures the sweet essence of a good Ambrosia salad. With its smooth, sweet melon flavor with smoke so thick and delicious, you’ll be a modern-day god of the clouds. For more information please visit our website: www.narahookah.com or call us at: 973-925-5991.